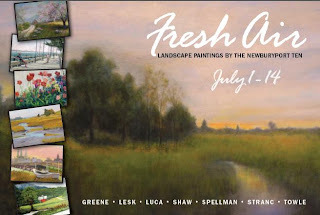 Busy preparing for the "Fresh Air" show starting July 1st at the Newburyport Art Association. 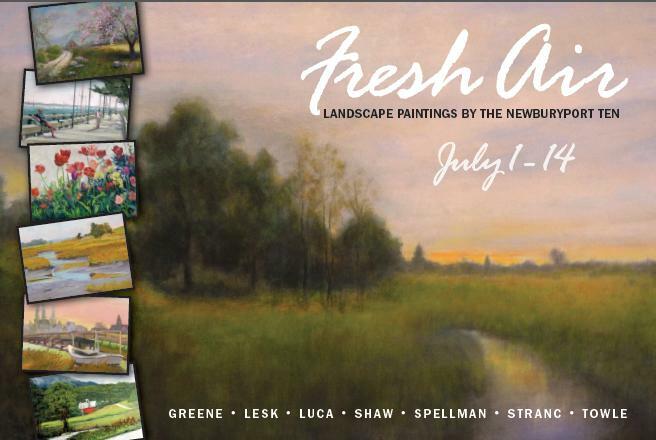 This is a group show including seven artists from the Newburyport Ten Plein Air Group. The group has been in existence for over ten years, meeting at interesting sites in the area every Thursday morning from 9am until noon for painting outdoors. When the weather doesn't cooperate the group still gets together to paint at a church in Amesbury along the Merrimac River. It's a great group of artists inviting you to visit the show July 1-14, 2012 and if possible come to the reception July 7, 2012 from 7-9 pm. 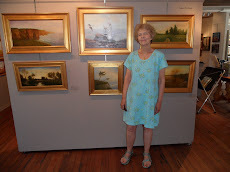 I was honored that the group chose my painting Essex Marsh as the background for the show postcard. Here are a few of the plein air studies I plan to put in this show.